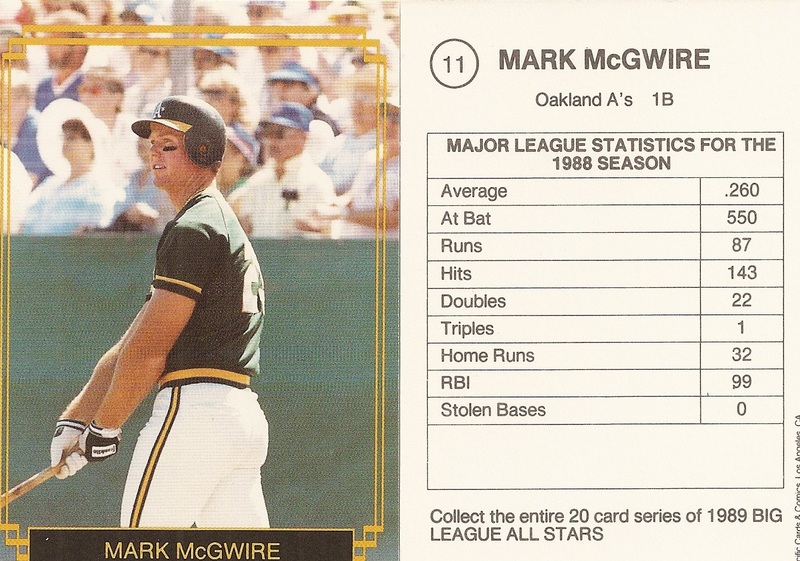 This 20 card unlicensed set is regular card size, measuring 2 1/2 x 3 1/2. 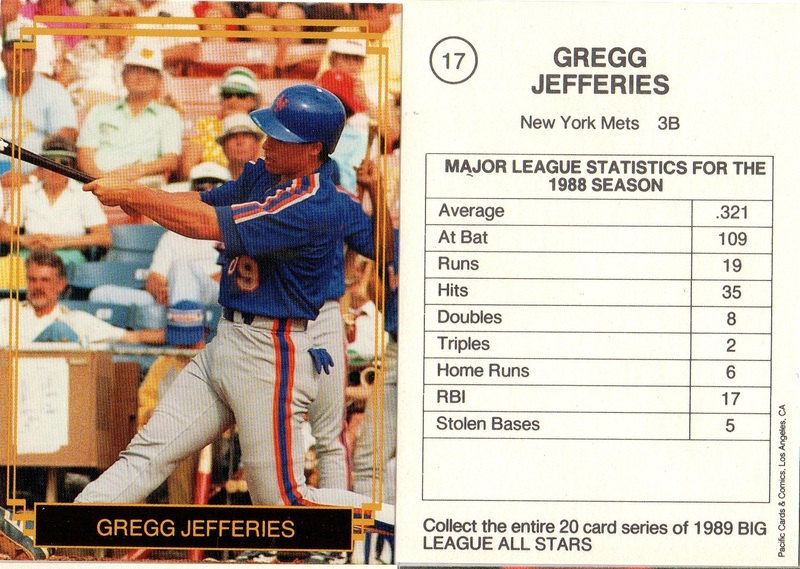 It front has no border and an ornamental orange pinstripe frame with the player name along the bottom of the card. 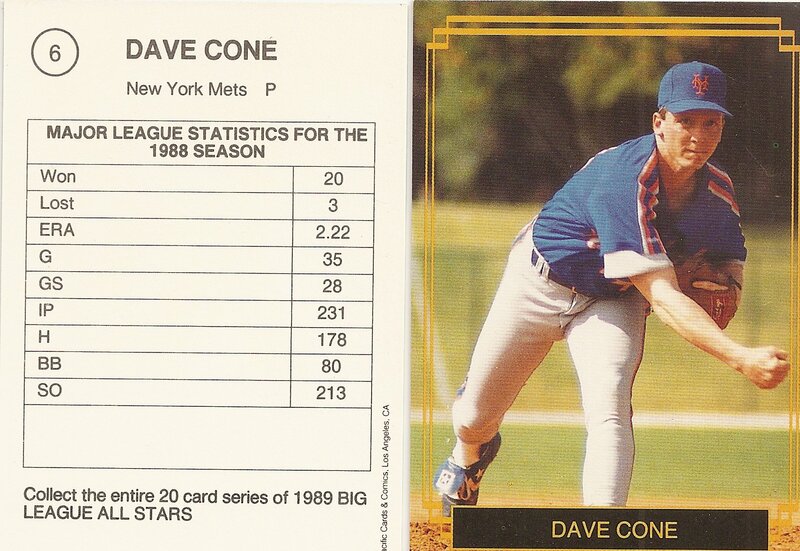 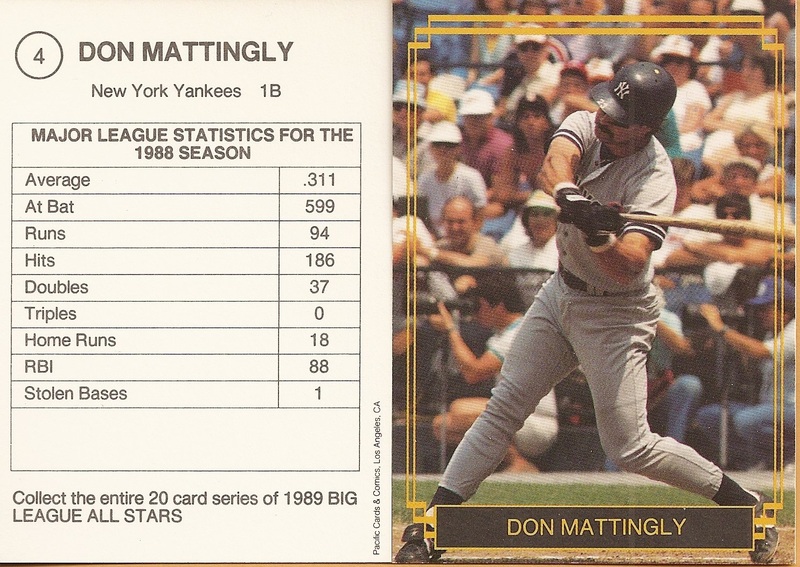 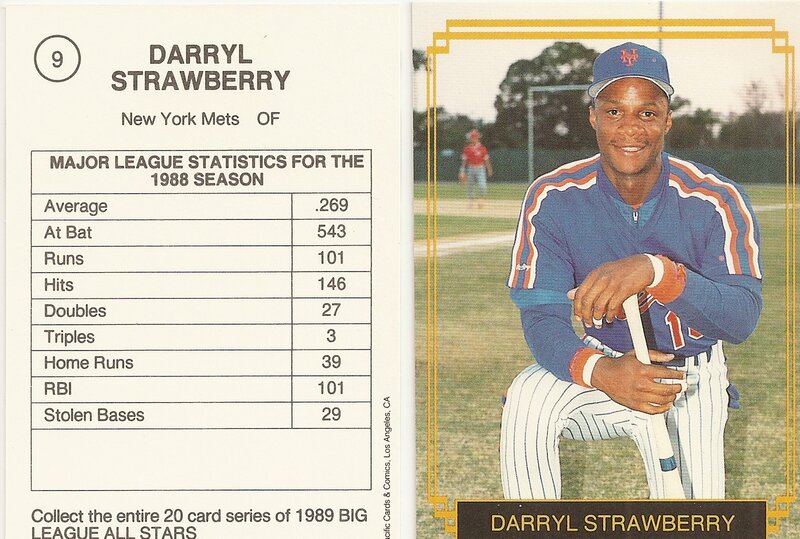 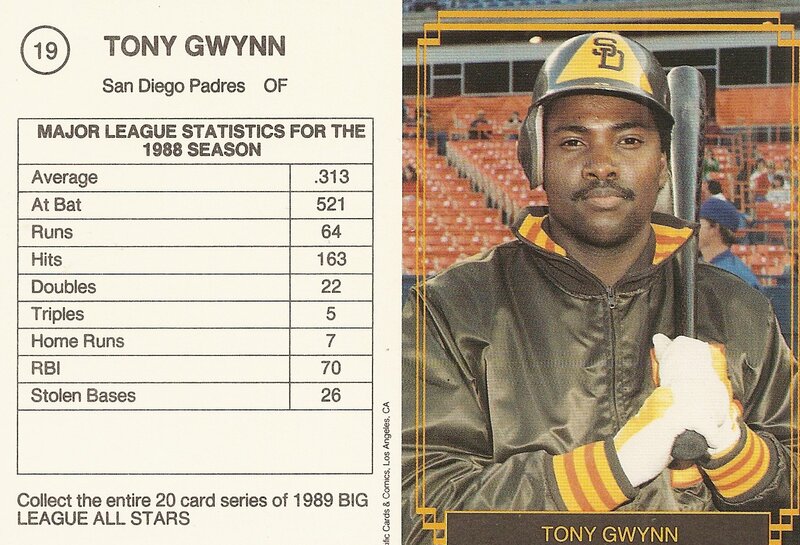 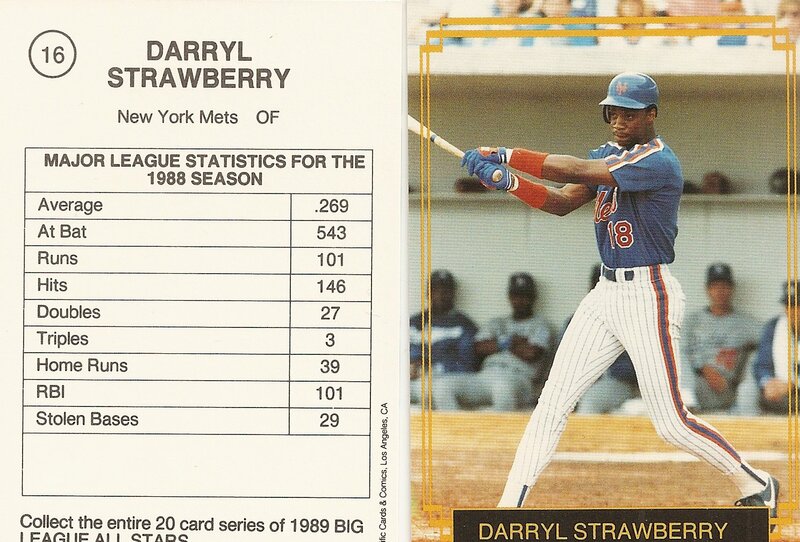 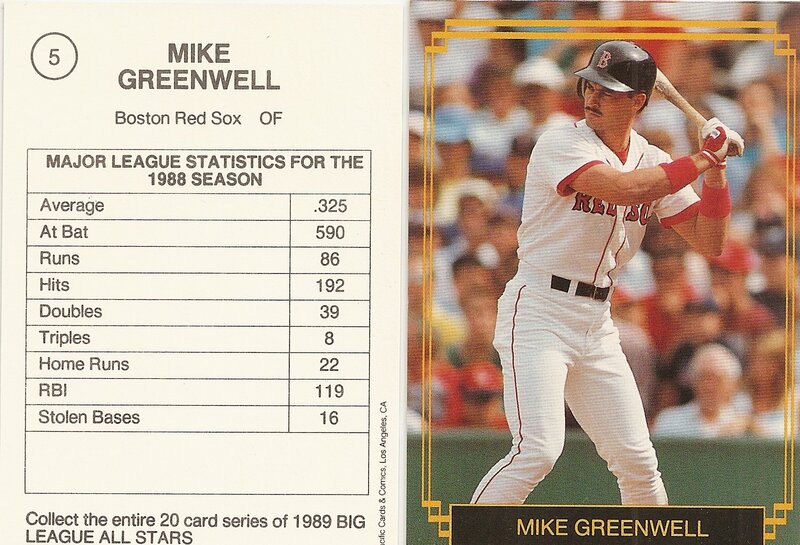 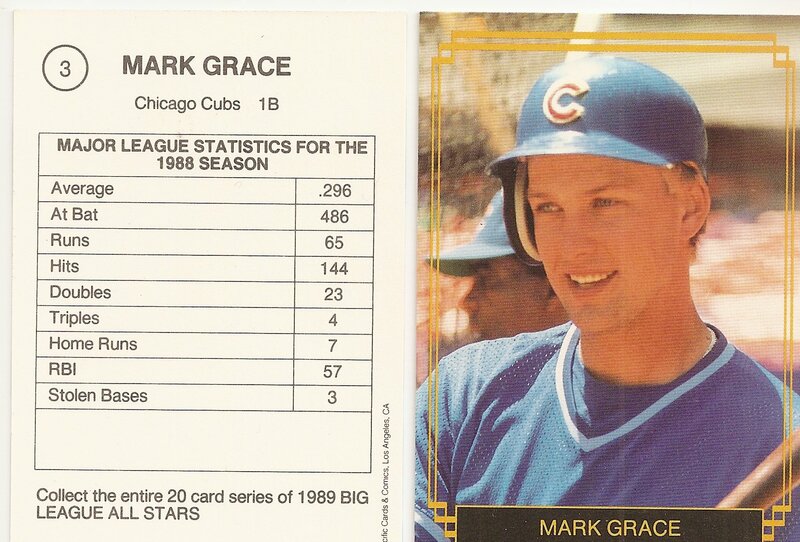 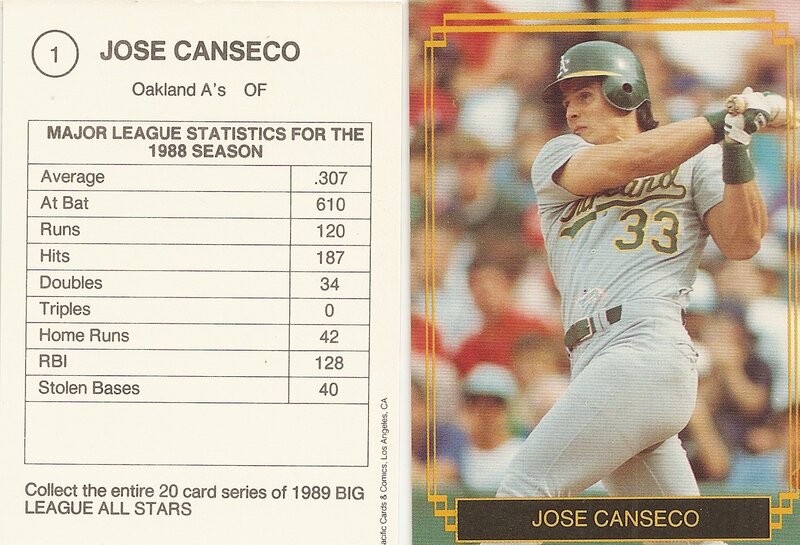 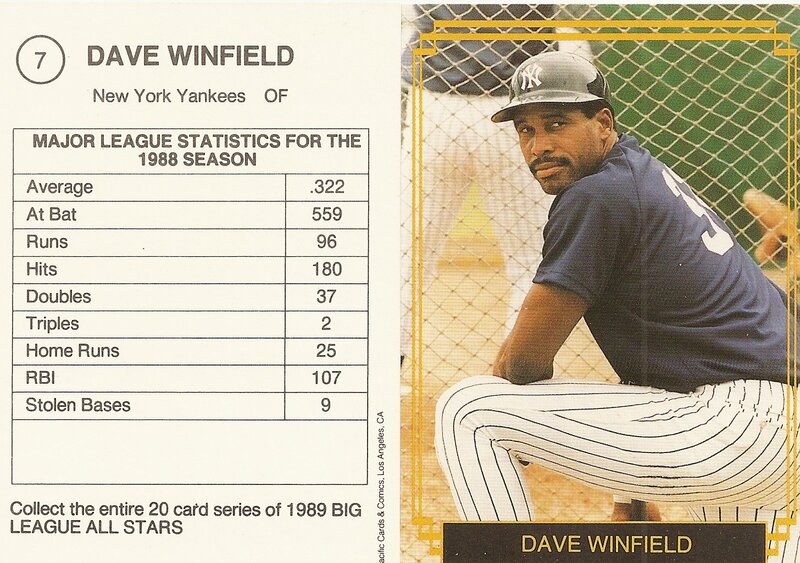 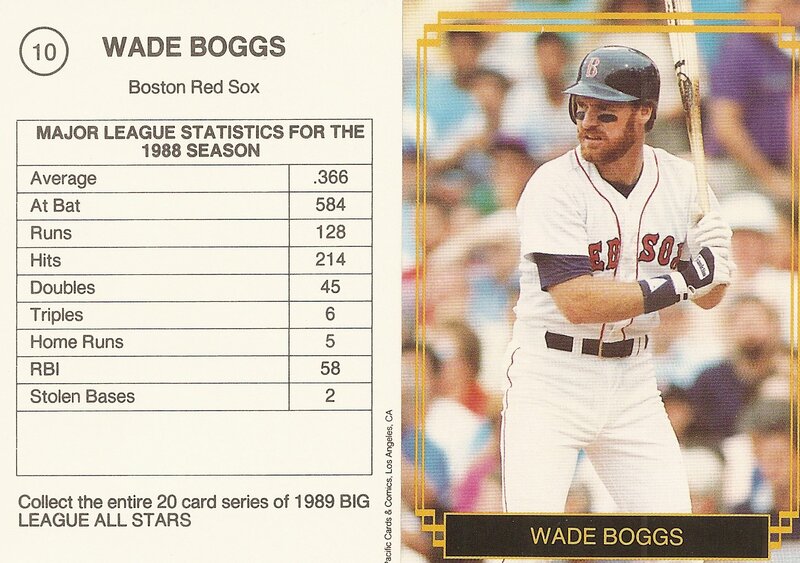 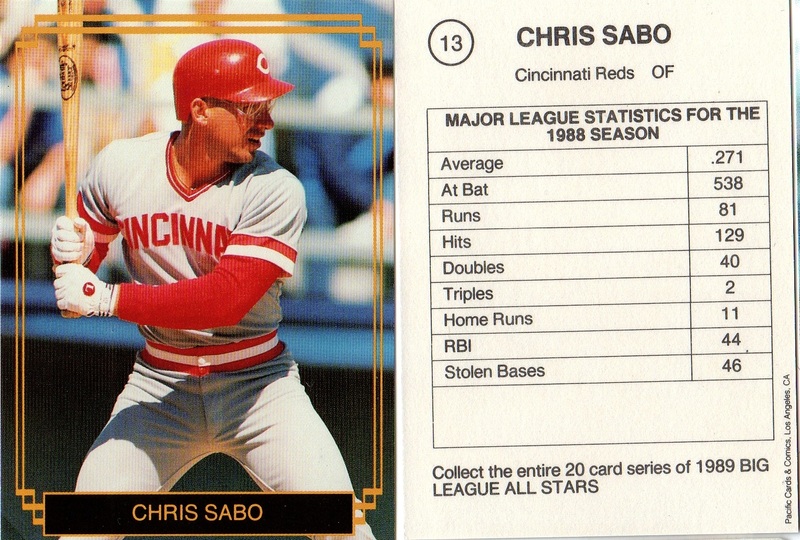 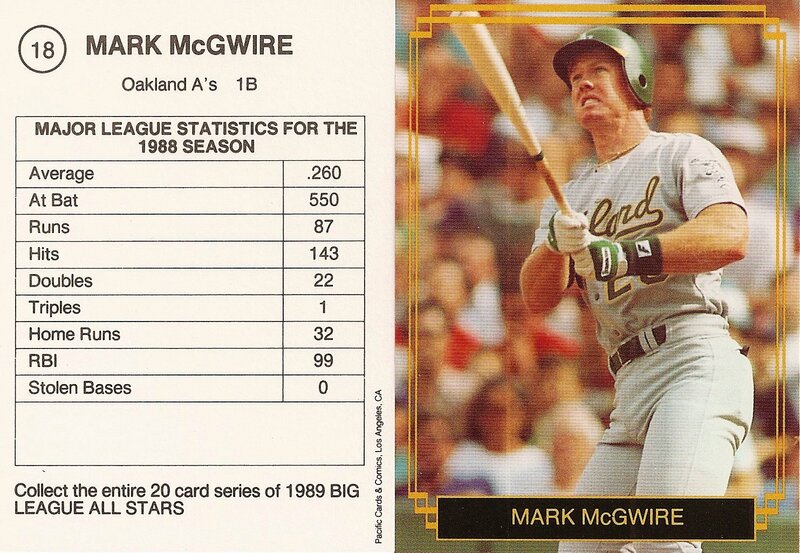 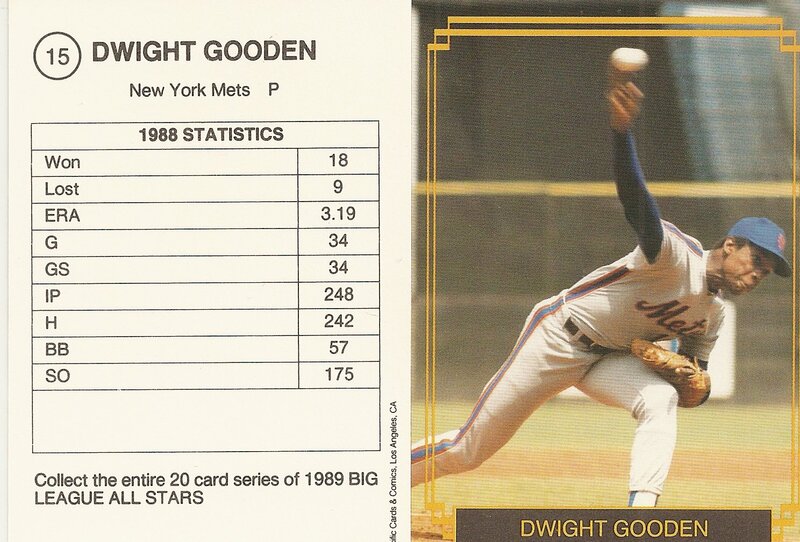 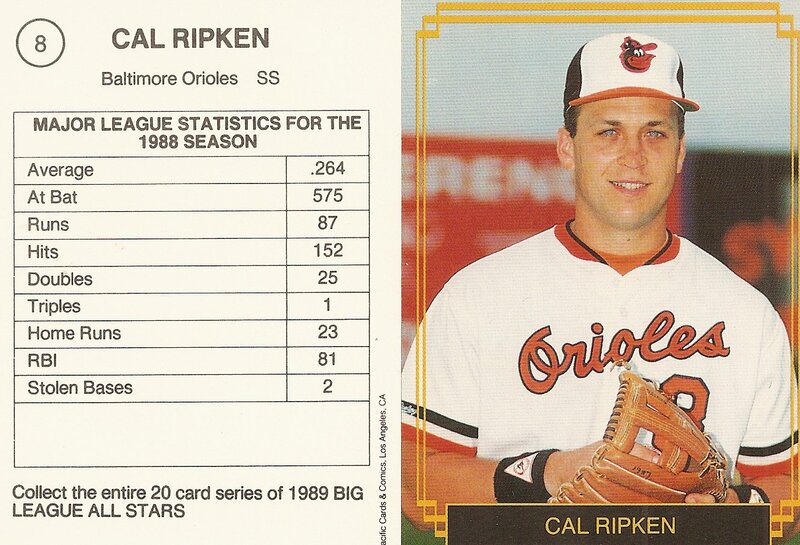 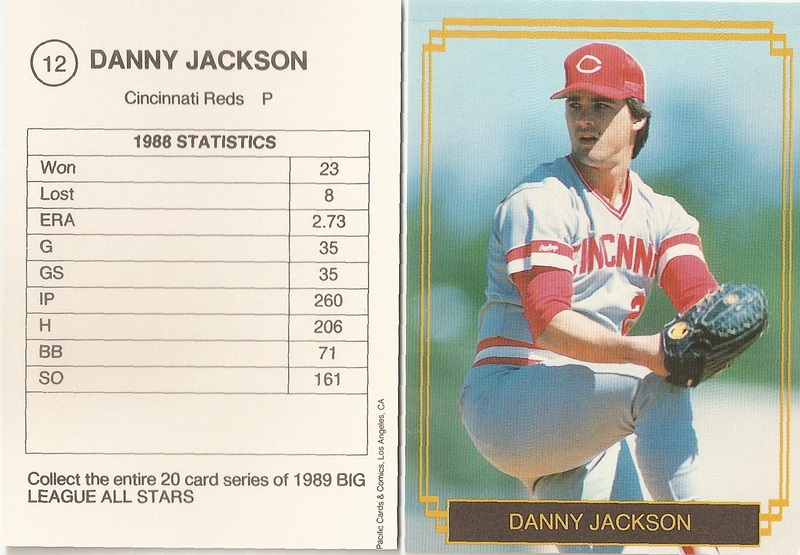 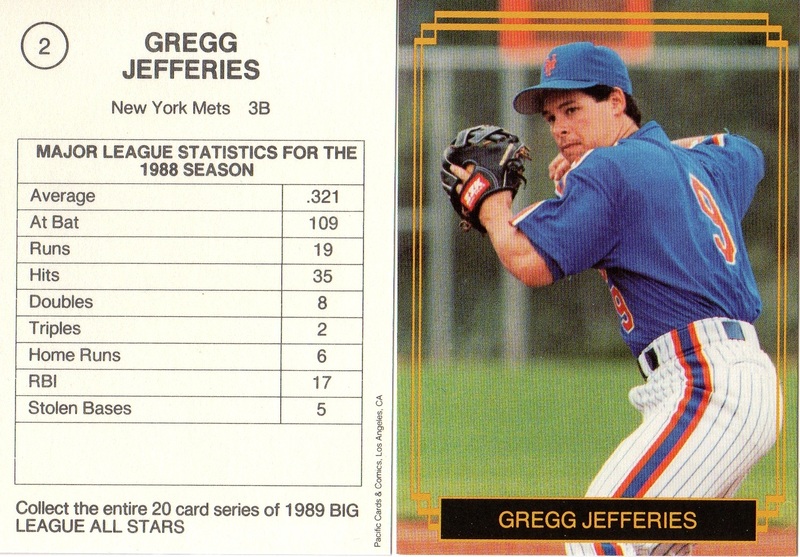 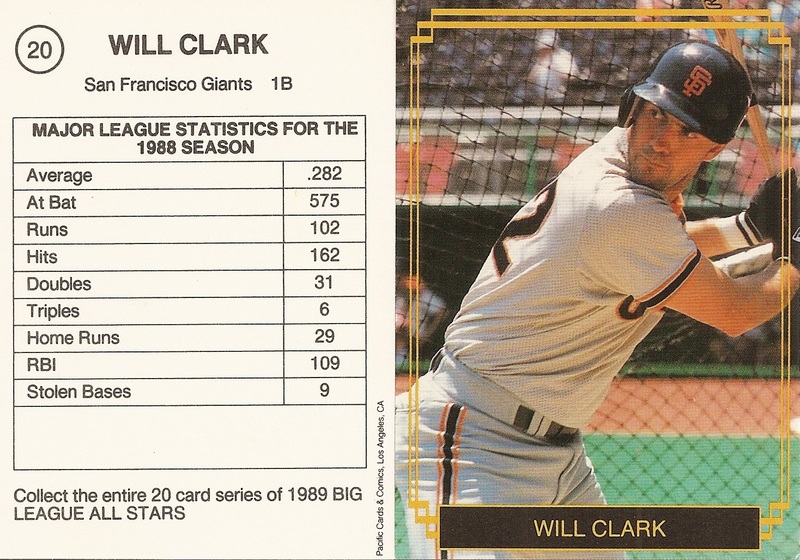 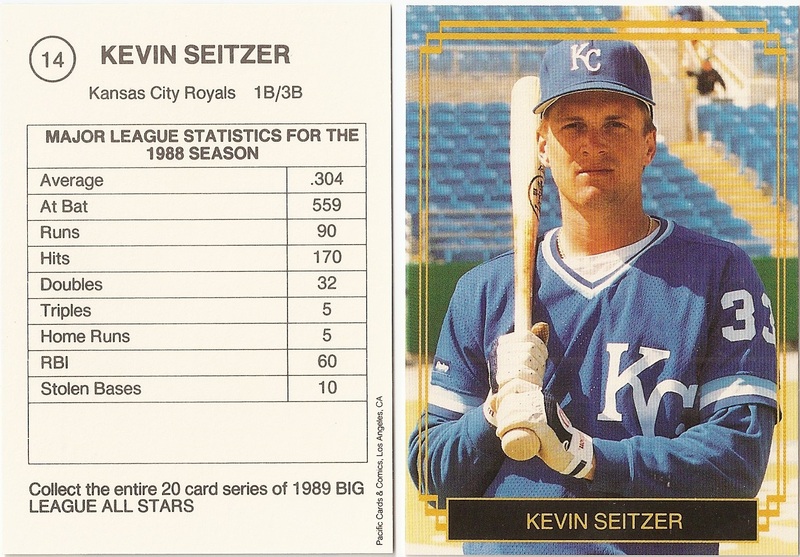 The back of the cards has the manufacturer, the player name, the team name, '88 statistics, the text, "Collect the entire series of 1989 BIG LEAGUE ALL-STARS", and the card number in the upper left-hand corner.